It’s been a while since we’ve received one of these. In reviewing it there seems to be a few changes for the MPD as well as the challenges the Central District more than likely encountered from mid-February on with the protests, etc….. To read the newsletter, click this link. A few years ago I had the chance to hear the UW MadHatters sing at an a cappella event. I loved their sound. They had fun, sounded great and the audience loved them. Since that time I’ve made a point to attend their spring concert. Last year it sold out before I could buy tickets. This year I scored the tickets early. The show was at the Orpheum Theater on State Street. The line to get in to the general admission show started to que up at 6:30 for an 8:00 show. Again, the 1 show was sold out. The Oprheum seats roughly 1800 people. The show began a little late as people were still being seated. The opening act was the Madison West High School A Cappella. Gotta give them credit they looked as if they were having fun. Need a little work on the tightness of the singing and stage presence yet overall enjoyable. The 2nd opening act I’m not sure I understand. It was Wisconsin Bhangra–a co-ed cultural dance team dedicated to teaching and performing Bhangra at the UW. Bhangra is an Indian form of dance. It was set up by a tongue and cheek showing of their version of the reality show “Jersey Shore” entitled something like “Punjabi Shore”. Their dance numbers were very energetic and fun to watch. Then there was a 15 minute intermission. So bear in mind, you que up in the line for a seat at 6:30 p.m. wait until doors open at 7:00 p.m. then depending upon where you were in the line, got seated anywhere from 7:00-8:10 p.m. Then there are opening acts for 1 hour and now a 15 minute intermission. The MadHatters didn’t take to the stage until almost 9:30. What’s amazing is people do this every year in order to see and hear their spring concert. Once the MadHatter took the stage they thoroughly entertained. The show didn’t end until nearly 10:45 and the crowd was on their feet for the last 2 numbers. Are they good? Absolutely! There’s a reason they sell out every show. They are great peformers. Their vocals are incredible. They enjoy what they do and it shows. Highlights (in my opinion) were the Beat Box performance by Andrew Fitzpatrick which literally had everyone in the audience in awe of his ability to recreate and perform so many percussion and other sounds. The other hightlight was the encore number dedicated to female performers…topped off with a vocal and DANCE rendition of Beyonce’s “Single Ladies” with 2 MadHatter back up dances and Bucky Badger. Truly a crowd pleaser. If you ever get a chance to hear these guys perform–DO IT. Even with the hassles of the venue, long lines, etc…it was worth it. By the way, they have recorded 6 albums since their inception in 1997. If you like a cappella music, these are worth a download. You can visit their store by clicking this link. Also, a certain percentage of their proceeds go to a charitable cause. This year its the Wisconsin Chapter of the National MS Society. Bill. It’s amazing how many people have been turning out for this. Estimates are in the 30,000-40,000 range for yesterday’s noon rally as well as today’s. I had a distinctive vantage point to view today’s rally on the steps of the King St. side of the state Capitol. I was in a law office in a mediation on the 8th floor of the building at 33 E. Main St….truly ground zero for today’s activities. I can’t remember ever experiencing anything like these past few days. There’s an odd vibe in the air as so many of the protestors are very angry. I can understand where that comes from yet it truly made Central Madison feel odd these past few days. They also don’t leave without leaving their mark. The trash thrown everywhere from these masses of people is appalling. 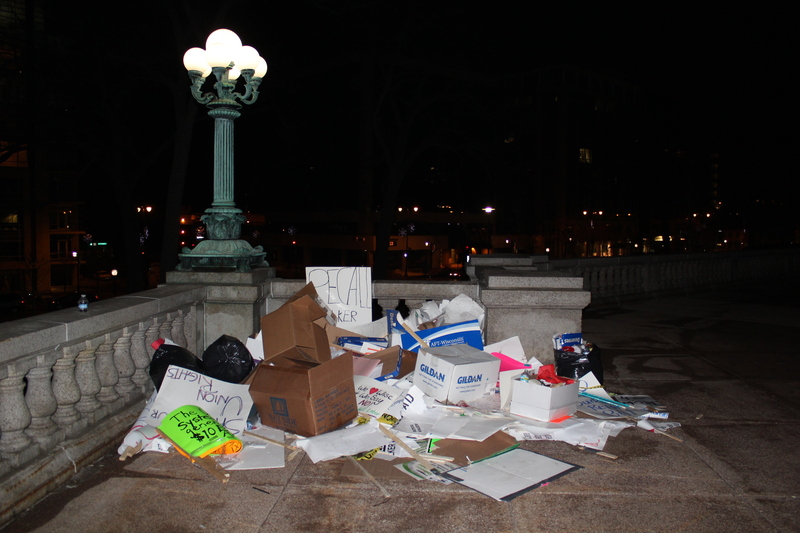 I get your right to protest, just leave our city the way you found it….please. The national average on a 30 year fixed rate mortgage droppped to nearly 4.36 percent in August 2010—lower than it’s been in the past half century! 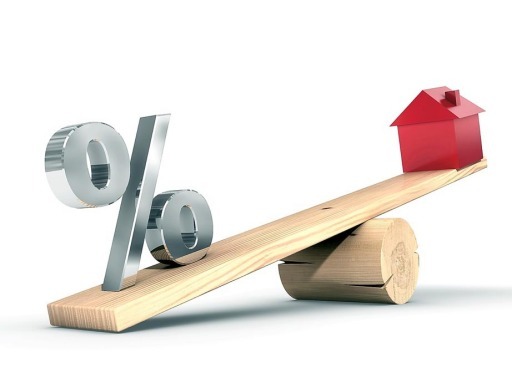 Interest rates for the same time frame in 2009 average 5.19 percent, representing a difference of $90 in the monthly payments on the average $200,000 home with 10 percent down, as well as a savings of $32,460 over the life of the loan. For more reasons why now is prime time to buy a home, contact us and we’ll send you a free e-book. Click this link to request your free e-book. Could Central Madison Condo Sales be on the Rebound? I’ve had a sense lately that the condominium market in downtown Madison may be showing signs of life. What I mean by this is that we are seeing an increase in activity and consequently offers and closings. Is it dramatic? No. Is it back to the peak in 2006? Not at all. Yet what is happening is the supply is moving downward and the median sale prices are trending upward which is a good indication that some life is coming back into the market. As a buyer this means you may have missed the absolute bottom and now would be the time to take action. As a seller, if you’re not getting activity, you should truly consider why and make the needed adjustments. Check out the link below to see the trending. Home Buyers Have an Edge! According to Lawrence Yun, chief economist from the National Association of REALTORS, “Home buyers over the past year got a great deal, and buyers for the balance of this year have an edge over sellers. Affordability could reach a generational high in the second half of this year because of rock-bottom mortgage interest rates, helped partly by the Fed’s very accommodative monetary policy.” For more reasons why NOW is the prime time to buy a home, contact me and I’ll send you a free ebook.